What's The Difference Between Cat 5, 6 & 7 Trackers? 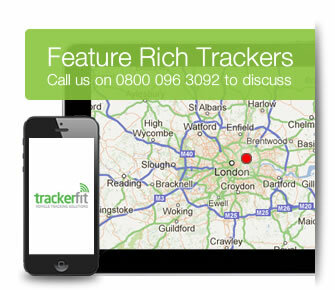 At Tracker Fit, all of our trackers are sourced from leading manufacturers and meet the highest standards of quality, manufacture and reliability. We have more than 25 years experience of supplying and installing a wide range of systems to track and recover stolen vehicles, and we are Thatcham approved installers for Cobra, Trafficmaster, SmarTrack and Tracker. All the devices we supply are Thatcham approved. However, you may have noticed three different categories of approval: cat 5, 6 and 7 - and you might be wondering what the differences are between these classifications. Thatcham category 5 is the gold standard of insurance industry accreditation, and is awarded only to the very highest specification tracking devices providing the greatest level of security and recoverability. To qualify for cat 5, devices are required to provide remote immobilisation, level 1 police response, a police or licensed security agreement, driver identification, motion sensors, plus street mapping and position data reporting utilising GPS and GSM technology. With such a high spec, cat 5 trackers are popular with owners of high value and high performance vehicles, but they'll offer added security and peace of mind to drivers of any vehicle. We supply cat 5 trackers from CobraTrak, SmarTrack, RAC Trackstar and ScorpionTrack. At the next level of accreditation, Thatcham category 6 devices deliver many of the same advantages as cat 5, including positioning and street mapping. Some cat 6 devices may also include optional driver identification and a police or licensed security agreement. However, cat 6 does not include remote immobilisation or level 1 police response. Nevertheless, all of our cat 6 trackers still provide an excellent level of security, and their positioning systems will enable your vehicle to be tracked all over the UK and Europe, to an impressive accuracy of just a few meters. Most of our cat 6 trackers also now offer the facility to track your vehicle over the internet. Thatcham category 7 trackers also provide an excellent level of tracking ability, and although they don't quite meet the full criteria for cat 6 or 5, they can provide a selection of the features that you would find on more advanced models. Our cat 7 devices, including the Tracker Monitor and Tracker Retrieve, offer excellent value for money for drivers on a budget. The criteria that tracking devices must meet for categories 5, 6 and 7 are set by the Motor Insurance Repair Research Centre, more commonly known as Thatcham Research. 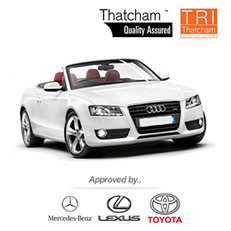 Established by British insurers in 1969, Thatcham is an independent, not-for-profit organisation dedicated to establishing and maintaining strict safety and security standards for road vehicles in the UK. Thatcham is funded by the insurance industry, with the core aims of reducing the cost of motor insurance whilst staying at the forefront of the latest vehicle technology research. If you're still not sure which category or brand of tracker is right for you, we'd be more than happy to talk through the different options with you. For more information or to speak to an expert, call us now on 0800 096 3092.